My name is Nedda, and I welcome you with all my heart. Rays of Healing Light is here to serve you and your animals. When you want to understand your animal's perspective and get help with a situation that affects both of you, I'm here to assist. I communicate telepathically with animals from a distance, and also offer distance healings for animals. You can get all the details by clicking on the tab for ANIMAL SERVICES. Rays of Healing Light is also here to serve you as you awaken spiritually and remember your True Self, your true nature as a powerful being of spirit. For a list and explanation of services for you, click on the tab for HUMAN SERVICES. Although 2012 has come and gone, many people are just opening their eyes to discover who they are. If you're in fear of the future, would you like some help to let go of the fear permanently? If you're feeling that just getting by each day isn't enough any more, then I offer a number of different services to assist you to achieve your goals and reduce the need to struggle. The future offers many positive and amazing opportunities for all of us. You can transform obstacles on your path into gifts! You can learn to manage your daily life and still focus on spiritual development. You can use your free will to choose a new way to live and to be on the Earth. You can heal past hurts; give up old patterns that keep you limited, and move beyond limiting beliefs. There are many, many websites today with lots of information about Ascension. Some of the information is fairly consistent across the board, while other bits of information may seem in contradiction with each other. How are you to decide what is the truth? How can you determine to whom you want to listen and who can help you the most? Learn "discernment", which is very different than judgment. If someone tells you they have all the answers - don't believe them. Go INSIDE and check out the messages with your own, personal truth-testing system. You have one, you know. That is what discernment is - deciding what is "right" and what is "truth" for yourself. Learn to communicate with your own higher spiritual aspect, your I Am Presence. Your "I Am Presence" is YOU at the very highest vibrational frequencies and knows what your path is for this lifetime. Your higher aspects (Soul, Over Soul, personal guides, teachers, and I Am Presence - to name a few of your support team) really do know what you need to know and will help you if you ask. YOU MUST ASK because you have FREE WILL and no one wants to violate your FREE WILL. Recognize all the ways in which "the world out there" is a reflection of your inner world. Discover that, when you change something inside yourself, the reflection also changes. By focusing within and cleaning up your "act" (all the world's a stage and we are merely players - William Shakespeare) you will begin to experience new joy and excitement, fulfillment and enthusiasm for your life. Recognize that you are God living in this body. You are the DIVINE SPARK created by GOD/GODDESS. Since God knows all, then all the answers to all your questions are within you. Learn to access them and take back your personal power. Choose to align with your Divinity and your Life Path, and you will experience Grace in all areas of your life. Discover that you are worthy of EVERYTHING. You were created to live in joy and to carry Divine Light, Divine Love, Divine Wisdom, and Divine Grace everywhere you go and into everything you do. Make sure you don't miss out on any teleclasses and teleseries I offer. Subscribe to my mailing list on the home page. I look forward to meeting you privately or in teleclasses, and to assisting you with your personal path of Ascension. Telepathic with animals since childhood. Professional Animal Communicator since 1994. 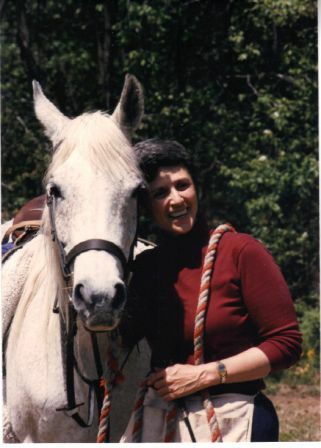 Echo, my equine friend and teacher, was with me for 22 years until she was 32 years old. Today, Echo works with me from the higher planes in giving healings, teaching animal communication, and offering spiritual wisdom. Read the story of Echo's Transition. As a small child, I felt the emotions of animals empathically. I often knew what the family pets were feeling and what they wanted. My parents told me I was just pretending, so I stopped telling others what I experienced, and I kept on "pretending". Although I received my BA from Cornell University and has Masters degrees from SUNY at New Paltz and NYU, I rejected the position of Behavioral Psychologists: that animals are a collection of conditioned responses without emotions. I could not deny my own inner truth. When I read Animal Talk, by Penelope Smith in the early 1990s, I was propelled to a new level of consciousness about animals. Animals are sentient beings - intelligent and self-aware - with their own unique perspectives and life purposes. This understanding is the basis for all my professional work in Animal Communication today. Since 1994, I have given private consultations for thousands of animals of many species, including horses, cats, dogs, lamas, iguanas, cockatiels, parrots, and a pet tarantula. Distance is no obstacle. Telepathic communication is instantaneous even if the animal is living half-way around the planet. I discovered my abilities to facilitate healing by learning ways to help Echo, my horse friend and companion who is now in spirit. Having a clear intention and staying open to possibilities, even when it defies logic, can bring about dramatic improvements in health and emotional well-being. In 1999, I reconnected with my personal Mastery by attending a workshop in Multidimensional Healing, a program of Spiritual Ascension and Empowerment. It transformed and inspired me to begin helping others who are also awakening spiritually. Aligning with your Soul purpose and reconnecting with your Divinity is vital to your success in overcoming all challenges as you choose to Ascend with your physical body. I have demonstrated this in my own life so that there is no longer any doubt in my mind or heart that this is so! 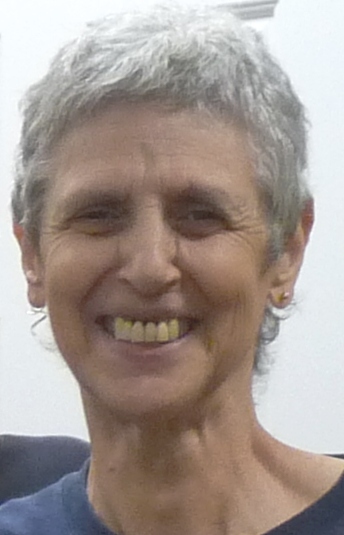 In October, 2010, I was guided to learn how to read the Akashic Records. Today, I provide assistance to my clients by lovingly and compassionately supporting their emerging sense of Self and higher Consciousness. My work in Spiritual Empowerment and with the Akashic Records allows me to facilitate and accelerate your return to wholeness. My mission became clear when I aligned with my Soul's purpose. By choosing alignment, I receive higher guidance in my personal life and for all the service I offer for others. It is my mission to help humans as they are waking up in the Ascension process that is occurring on the Earth at this time. As they awaken, many are struggling to find and take back their personal power. It is my mission to respect, support, and encourage them in this process. In addition, many are releasing patterns of denser, limited, lower vibrational energies. It is part of my mission to be a way-shower, to demonstrate, through my own life, how to release these and at the same time, to help and support others as they choose to heal and let go of their own limiting and no longer relevant beliefs and patterns. One way I assist people in the release of old patterns is to raise their consciousness about animals. I help them open to the understanding that animals are sentient beings with spirit and soul, just like humans. We are part of the web of life, as are the animals. The animals, plants, nature spirits, the Earth and all her elements, and all beings throughout the Universe are interconnected with us. Everything we think, feel, and do directly affects them as well as ourselves. Consciousness is everything and everything is Consciousness. You are me and I am you. Separation is an illusion, for truly, we are all One being. There is only ONE being in existence. What I experience as being outside myself is a reflection of my own inner state. To change the world I must change myself, for as long as I hold limiting beliefs and judgments, that is how long they will be reflected back to me. What I experience is a reflection of my inner state called to me through the Law of Attraction. Therefore, I must each take full responsibility for what I attract into my awareness. This mission is both personal and professional. As I work towards fulfilling my mission, I change who I am and how I interact with others of all species. My own consciousness expands and vibrates at higher frequencies. This helps me maintain a higher perspective on all things. To fulfill my mission, I commit myself to being as clear a channel as possible and to vibrate at the highest frequencies possible. I commit myself to live in and come from my higher heart center, thus expressing compassion, non-judgment, forgiveness, gratitude, generosity of spirit, and limitless "love without conditions" to all. When I stand in my power I model empowerment for others who seek to do the same. Working on myself every day to recognize the places in myself that need healing, to bring darkness and shadow within myself into the Light, and to integrate the Light in all areas of my life. Seeing the world outside myself as reflection of my inner world; by healing myself, I heal the world. Taking full responsibility for everything I experience as my own creation. Living a reverent life with respect and love for all living beings. Staying focused on my mission. Remembering to "see God in each other." Helping myself and others see the “higher” perspective in each situation, as this creates an opportunity for raising awareness. Acting as an ambassador between species when called upon to do so. Offering animal communication sessions to humans who want to communicate more fully with their own animals. Offering services that assist those awakening into full consciousness of who they are: God-Self in physical form. Facilitating and negotiating the resolution of problems between humans and animals living together. Being a channel for Light, Love, and Healing for humans, animals, and the Earth. Sharing information about alternative systems of healing for themselves and their animals, as appropriate. Giving talks to raise the consciousness of humans. Teaching classes that facilitate humanity's spiritual development. Educating others about subjects related to my mission. I envision a world in which each human being is fully telepathic and aware of the Unity of all things. In this vision, humans treat all sentient life as equals and with Love, Respect and Honor. Humans, Animals, Nature Spirits, Plants, the Earth, and beings from other worlds and dimensions are able to exchange information and energy with humans easily, while recognizing each others’ Godliness. The abundance of the world is now obvious to all, who share fully in the bounty available. Divine Light, Divine Love, and Divine Wisdom combine in all of our lives, enabling us to come from the Heart Center where non-judgment, forgiveness, and compassion abound. I envision a world where humanity has uplifted itself to higher vibrational frequencies so that we can take our rightful place in the Universe.